Conveintly located just minutes from Robert L. Bradshaw International Airport, the St. Kitts Marriott is the island's largest and most complete resort. 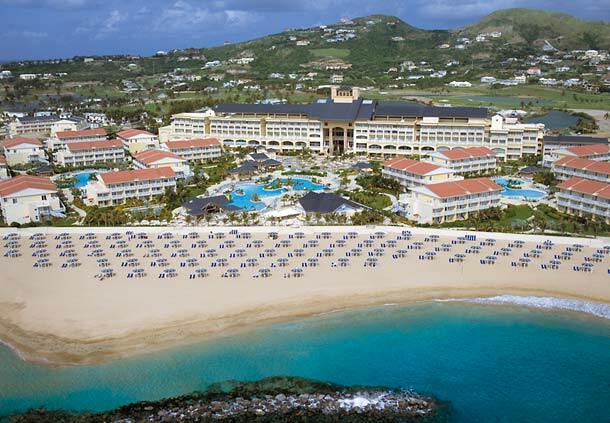 With close to 400-rooms, a full-service spa, Vegas-style casino and five on-property restaurants, this oceanfront resort is just steps away from the Royal St. Kitts Golf Club. 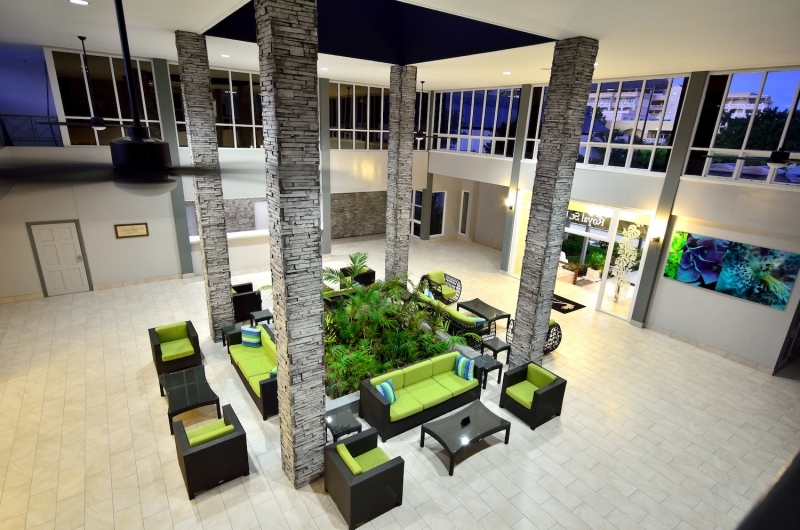 Also adjacent to the Royal St. Kitts Golf Club, the resort features apartment-styel rooms, complete with kitchens, dining and sitting areas. Completely renovated, with all new rooms, state of the art fitness center, SPLASH pool bar, a salt water pool, the property is quickly becoming a popular choice among golf and social groups. Located in between Cancun and Playa del Carmen lies Mayakoba, a discerning travelers oasis. Home to four luxury hotels managed by some of the best brands in the hospitality industry -- Fairmont, Rosewood, Banyan Tree and opening in December of 2016, an Andaz by Hyatt -- the resorts surround an oceanfont championship course El Camaleon, designed by Greg Norman. Centrally located on one of the highest points on the island, the grand damn of Bermuda's hotels majestically overlooks the turquoise waters of the Atlantic to the south and the sophisticated elegance of Hamilton and its harbour to the North. 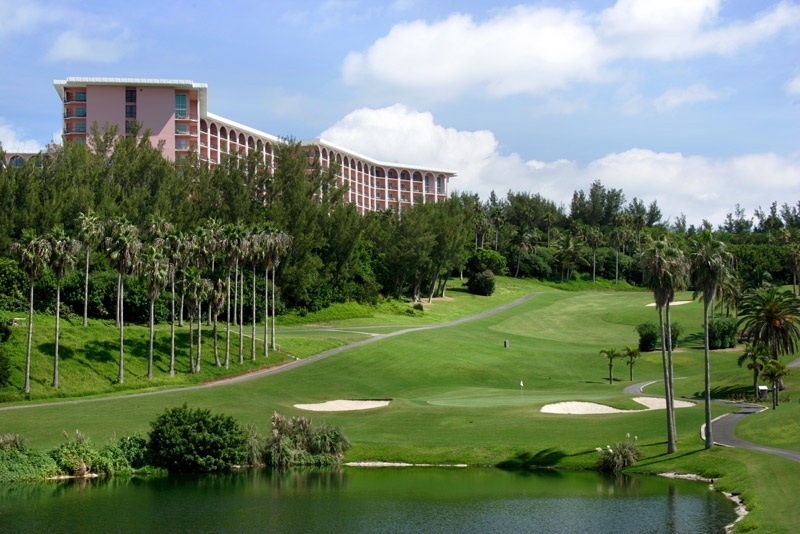 Bermuda's largest hotel, the Fairmont features spectacular meeting space, a wide range of casual and fine dining options, and one of the world's best part-3 golf courses, Turtle Hill Golf Club. Don't let the term "Par-3" fool you, Turtle Hill is as majestic as the resort itself, with equally incredible views, wind-swept elevation changes and lightning fast greens. 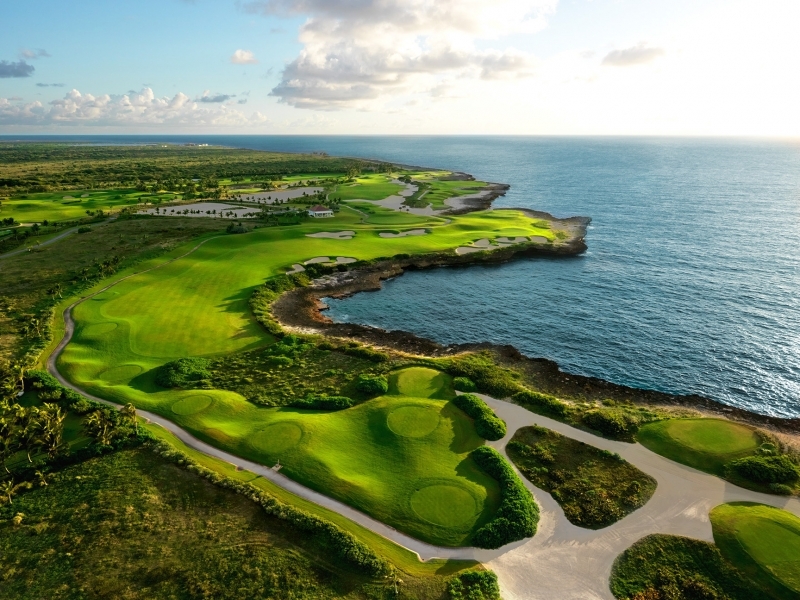 A massive, luxury resort located less than an hour from Punta Cana, Casa de Campo is known the world over for being home to Pete Dye's famous "Teeth of the Dog" golf course. But it's so much more than Dye's fantastic oceanfront golf course. 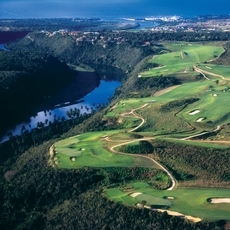 An all-inclusive resort, wide range of villas, marina, boutique shops, and two other championship golf courses, make Casa de Campo a destinaiton unto itself. Uncover a little-known wonder in the Caribbean: Nevis, sister island to St. Kitts in the tradewind-kissed Leeward Islands. Bask in near-perfect weather, steps from the silken sand. Find tranquility in the award-winning spa. 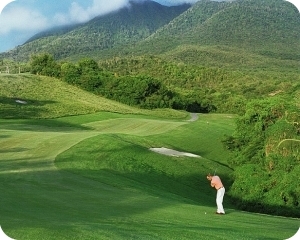 Or play golf amidst the dramatic views of one of the world's most scenic courses. Arrive at the Punta Cana International Airport and before you know it, you're checking into the all-inclusive Westin Resort at Punta Cana which is just minutes from the terminal via VIP shuttle. This oceanfont resort is home to 45 holes of championship golf, including the spectacular Corales course designed by Tom Fazio. 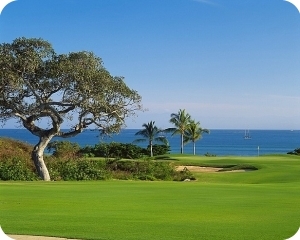 Golf package guests can also play Punta Espada Golf Club at Cap Cana, a magnifient Jack Nicklaus oceanfront course minutes from the resort. Just 42 kilometres (26 miles) from Puerto Vallarta, an unrivalled luxury Mexican vacation experience, edged in pristine white-sand beaches, natural islands and the turquoise Pacific. A unique spa. Sunset dining. 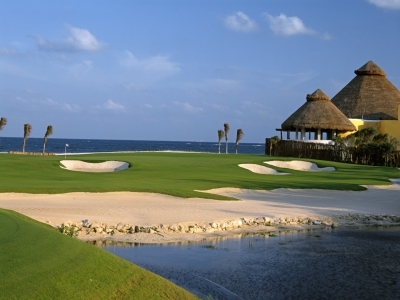 Jack Nicklaus golf, with an island green, played beside the wave. 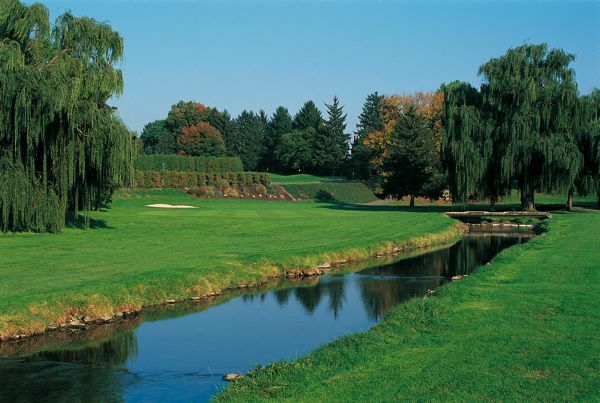 Hershey Golf Collection offers four distinctly different styles and challenges of golf for all to play. In a legendary setting, which golf icons Ben Hogan and Henry Picard once called home, the tradition and challenge of championship golf remains at the heart of the Hershey Resorts golf experience. 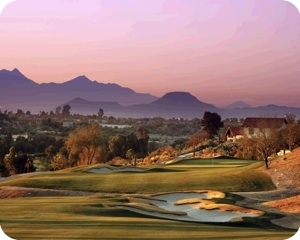 Designed by 2006 Ryder Cup captain Tom Lehman, The Sonoran Course opened in December 2005 to enthusiastic reviews. This desert style layout features steep elevation changes and some unusual uphill/downhill shot opportunities not typically found in Tucson. The Sonoran offers spectacular vistas of natural beauty of the surrounding terrain.